After the death of Sultan Firuz Tughlak who reigned from 1351 to 1388, the Delhi sultanate declined. In 1398, Mongols from Central Asia descended into India. 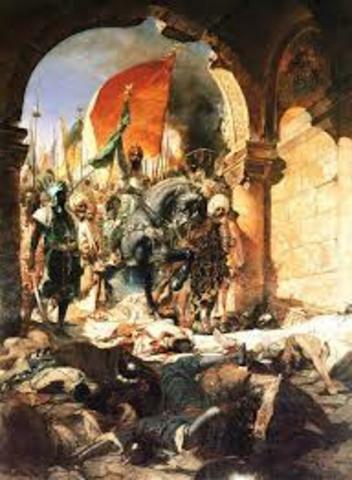 Under their leader, Tamerlane, they attacked and destroyed Dehli. The invaders killed and enslaved the entire population of the city and carried off its treasures. After the left, however, the Dehli sultans were restored. The closing of the Silk Road forced merchants to take to the sea thus initiating the Age of Discovery which led to world-wide interaction and the beginnings of a global community. Its closure would propel Europeans across the ocean to explore, and eventually conquer, the so-called New World of the Americas. In this way, the Silk Road can be said to have established the groundwork for the development of the modern world. 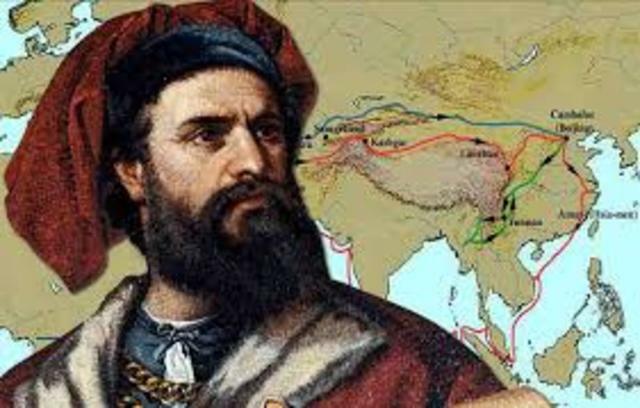 Portuguese sailor, Vasco Da Gama led a Portuguese fleet to India looking for a sea route from Western Europe to the India. He traveled along the south coast of Africa and ventured into the reckless southern Atlantic sea until he reached India. 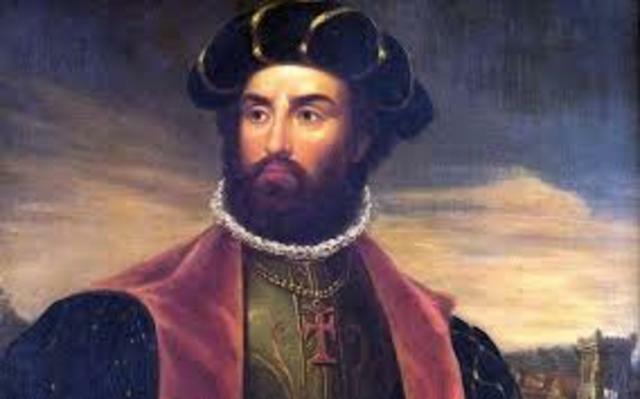 Da Gama’s discovery encouraged Portugal to engage in affairs in India. 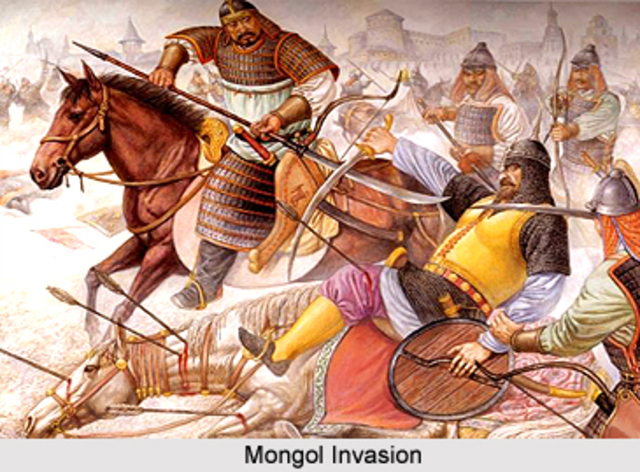 In 1526, another Mongol army invaded India. At its head was Babur (Bahbhur), who claimed to be Tamerlane's grandson Babur founded the Mughal Empire. Under the Mughals a brilliant culture emerged, blending both Hindu and Muslim traditions. The Mughal empire lasted for 300 years. Its golden age occurred during the reign of Akbar, grandson of Babur. 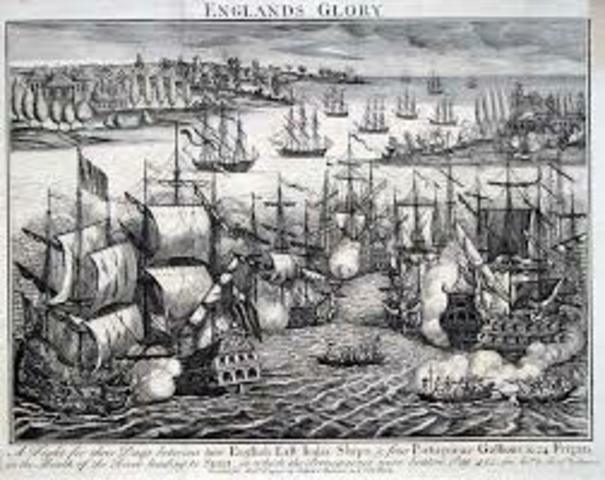 British East India Company’s navy defeats the Portuguese in the Battle of Swally near Surat, Gujarat, and establishes a trading post. French East India Company is formed. 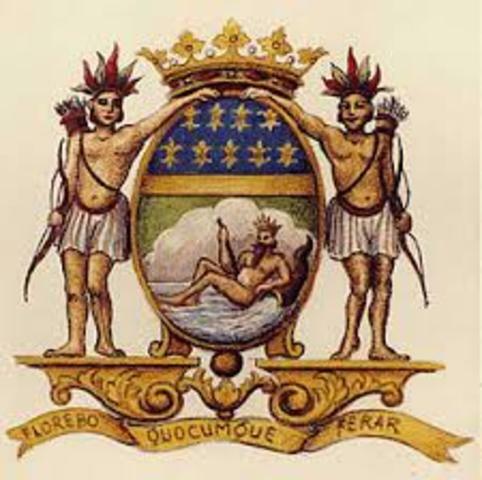 The French East India Company was a commercial Imperial enterprise, founded in 1664 to compete with the English and Dutch East India companies in the East Indies. Planned by Jean-Baptiste Colbert, it was chartered by King Louis XIV for the purpose of trading in the Eastern Hemisphere. 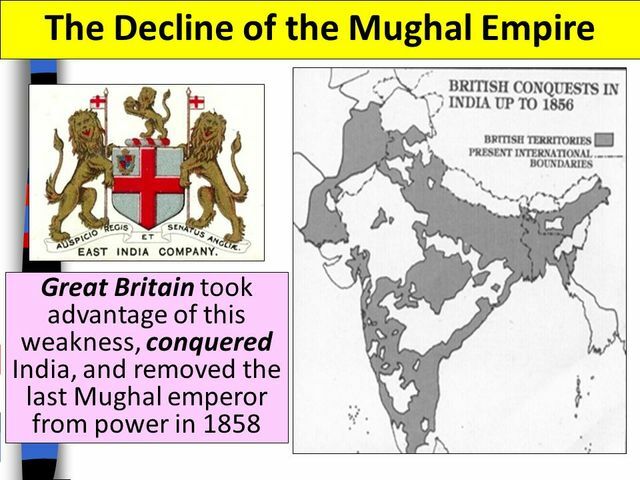 The Mughal empire entered a deep decline in 1707. It broke apart into small states in the mid-1700s. Wasteful spending hurt the empire. Civil wars among Muslim princes also broke out. At the same time, a new wave of intruders--the Europeans were arriving in a growing number. The British and French took advantage of the Mughal decline. they fought for control of India's small kingdoms and tap new sources of wealth. 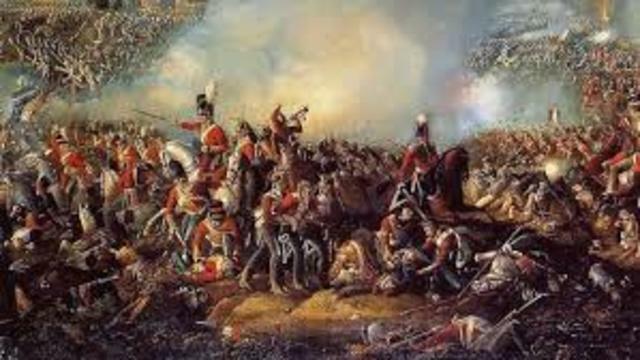 By the 1760s, the British overcame the French. 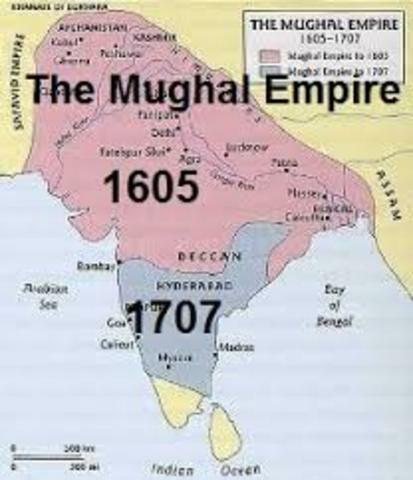 By the end of the 17th century, the Mogul empire had fallen into the hands of the nawabs, cause the British and French to take advantage and compete in building empires. The British had established a trading place in Calcutta in 1690s The nawab army arrived on June 16th. Siraj's final attack came on the morning of June 20th. He was forced to surrender. A total of 146 British prisoners were herded at sword-point for the night into the "black hole", a little lock up the British had built. fought in Bengal between the army of Nawab Siraj ud- Daulah and the forces British East India Company. The battle was the climax of a carefully manipulated conspiracy to oust Siraj in favor of a Nawab more amenable to British interests and more acceptable to some of the courtiers and merchants of Bengal. The company was involved in a war with the Mughal emperor, Shah Alam II. 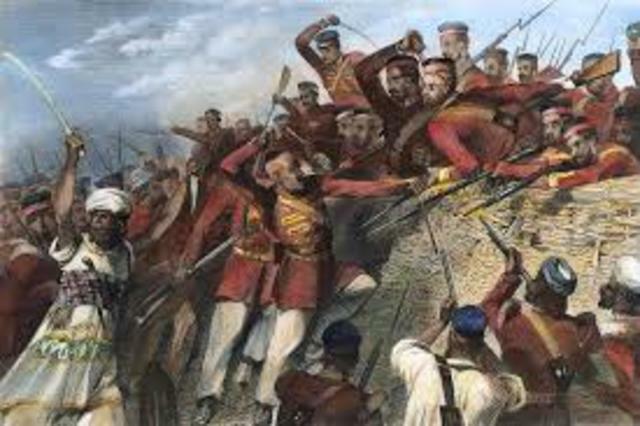 It was between the forces of the British East India Company, commanded by Major Hector Munro, and the combined army of an alliance of Indian states including Bengal, Awadh, and the Mughal Empire. The Company again won and gained control of the Mughal Emperor territories. This battle again confirmed the dominance of the Company in India. In 1857 these strained relations exploded into a rebellion. Sepoys were indian soldiers who fought the British army. The spark that set it off was the introduction of a new type of cartridge into the rifle, where the soldier had to bite off at the end of the ammunition. This was greased with beef and pork grease. This offended the muslims and hindus. This was what made the growing conflict explode. The violence of this rebellion was ferocious killing many British officers, women and children. 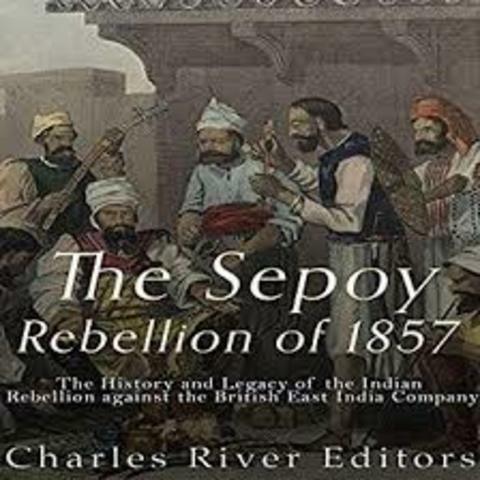 In the 18th century the French East India Company and its other European counterparts employed locally recruited soldiers within India, mainly consisting of infantry designated as "sepoys". The largest of these Indian forces, trained along European lines, was that belonging to the British East India Company. The rebellion led to a number of political changes. In 1858, the British government took over India as a colony. They sent the last Mughal emperor to exile. He was born in Porbandar, a coastal town in present-day Gujarat, India. He absorbed in his early years many influences that would play an important role in his adult life. This included self -purification, and mutual tolerance, fasting, mutual tolerance between individuals of different creeds. 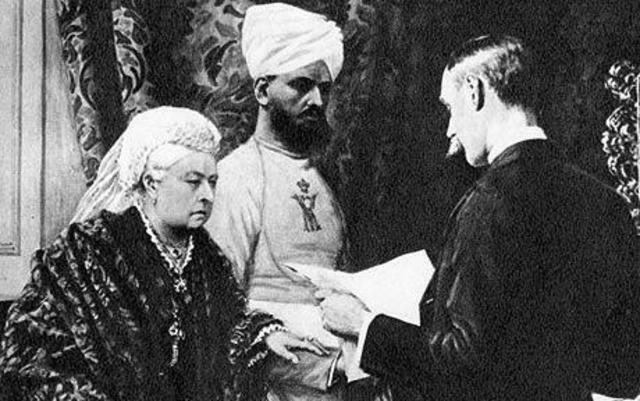 In 1876, Queen Victoria of Britain took the title of Empress of India. 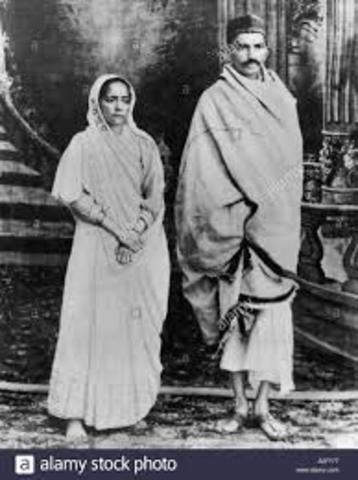 13-year old Mohandas was married to 14-year lf Kasturbai Makhanji. 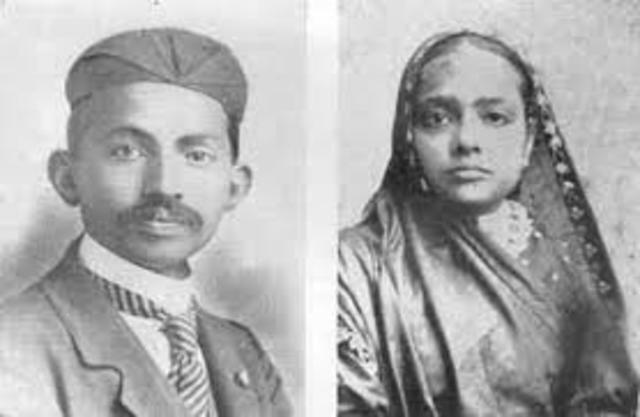 When Gandhi was 15, the couple's first child was born, bbut only survived a few days. It was established by English speaking Indians, most of whom were Hindu. After WWI the INC took a more forceful stand. In 1920, Mohandas Gandhi took over the leadership of Congress movement. He united large sections of people in support for home rule. 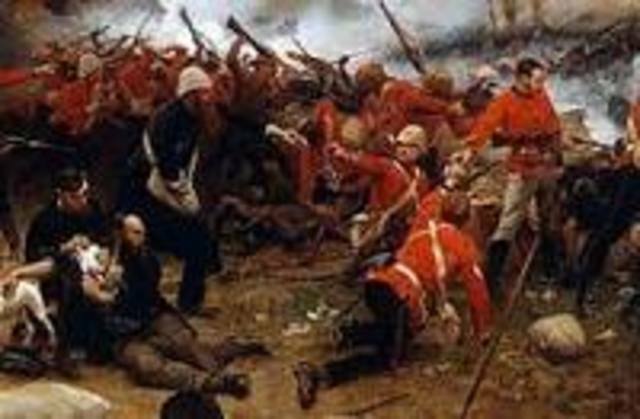 15,000 British troops invade the independent nation of Zululand in present-day South Africa resulting in a battle between the Zulus and the British. Gandhi was affected greatly by the Zulu war because he saw the true impression of people and he often reflects upon the event. Many Muslim leaders feared that Hindus had opposed the partition of Bengal for political reasons--to preserve the power of Hindus at the expense of Muslims. As a result, the Mulsim league sought to protect the interests of Indian Muslims. 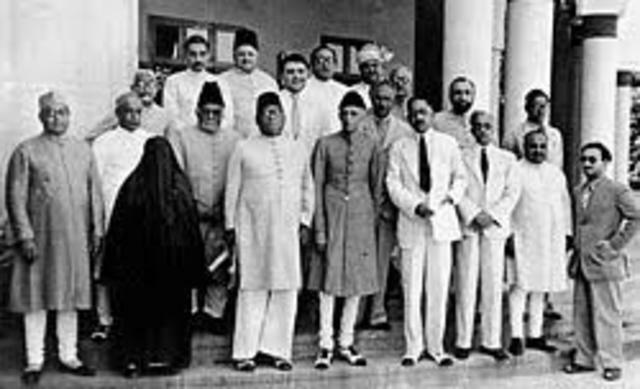 In 1940 the Muslim league formally called for a partition or a division of India and the creation of separate Muslim and Hindu countries. 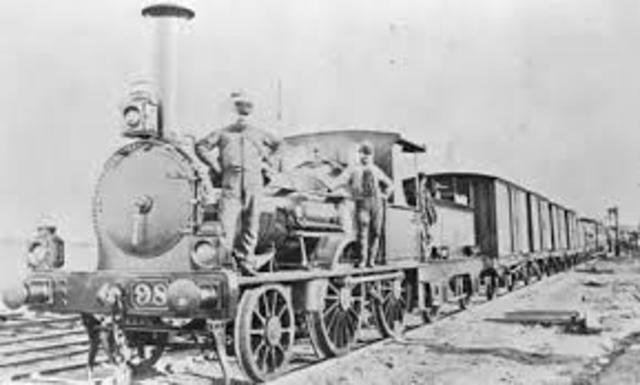 By 1910 India had the fourth-largest railroad network in the world. British invested in transportation for two reasons: to move troops to trouble spots more easily and to help sell British products throughout india. 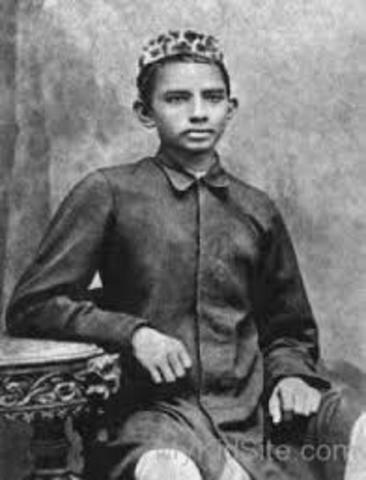 Mohandas Gandhi returned to India from South Africa in 1914. Within a few years he emerged as a key figure in the India struggle for independence. He united many groups within the nationalist movement. Amritsar was recently placed under martial law due to a recent escalation in protests. British general Reginald Dyer banned all meetings and gatherings in the city. On April 13, the day of the Sikh Baisakhi festival, thousands of people came to Amritsar from surrounding villages to the event. Most of these people were not aware of this ban on public assemblies. Dyer's troops gave no warning and opened fire on the crowd. 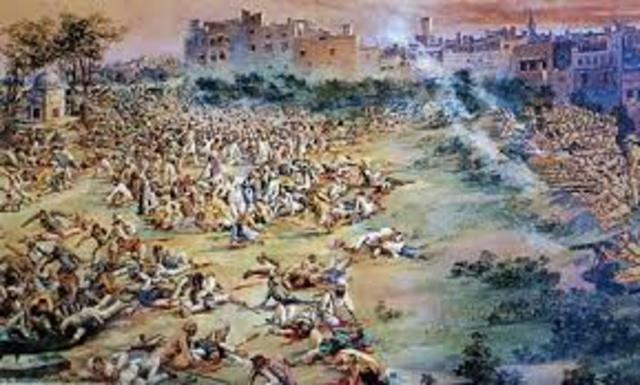 The massacre stirred nationalist feelings across India. 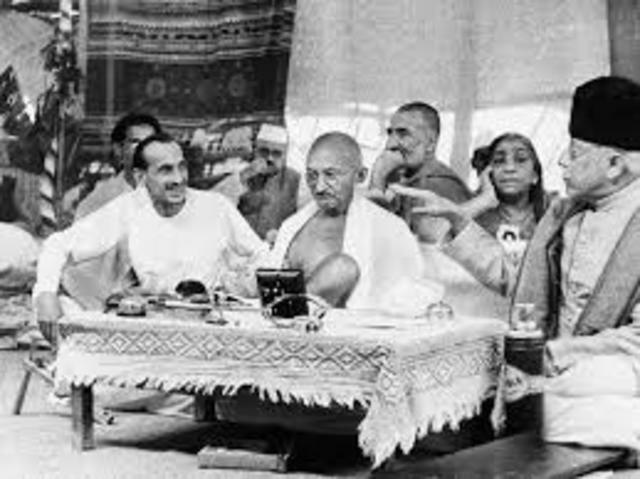 In December 1921, Gandhi was invested with executive authority on behalf of Indian National Congress. He went on this fast to purify himself and to recover the power to react on the people. 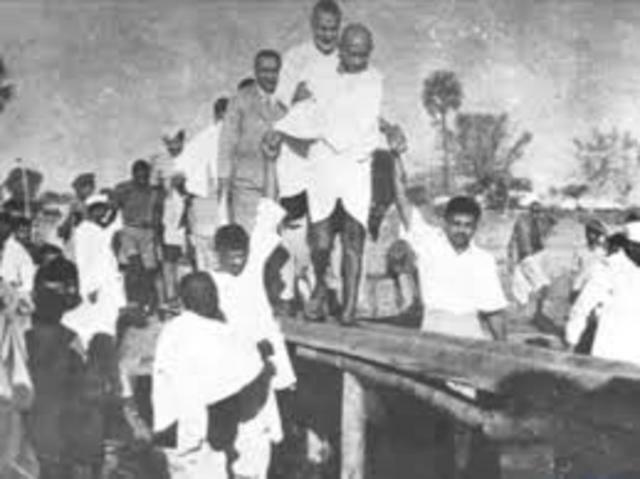 An act of civil disobedience orchestrated by Mohandas Gandhi to protest British rule in India. 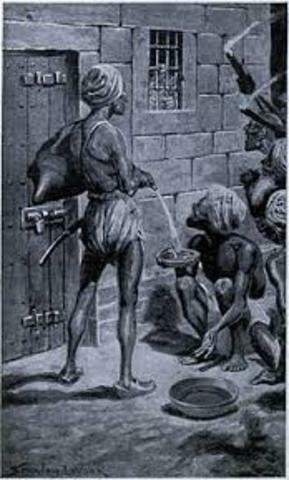 British Salt Act prohibited Indians from collecting or selling salt. They were forced to buy the vital mineral from their British rulers. He thought it was an ingenious way for many Indians to break British law. He used satyagraha or "truth force" to protest the tax on salt. At the coast they broke the law by making salt from sea water. 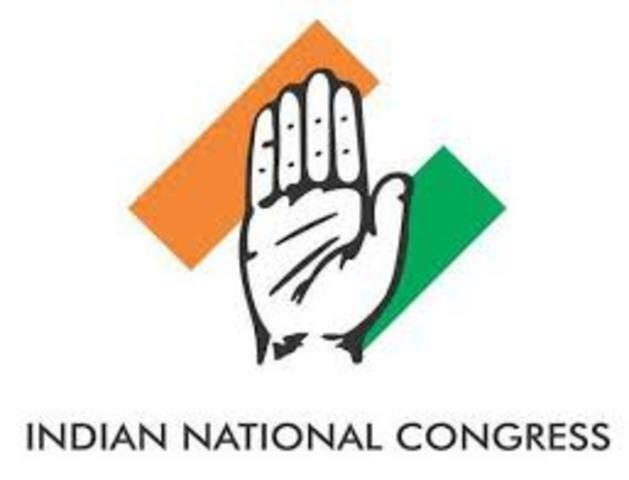 It was established by the Indian National Congress. It resolved the Congress and Indian nationalists to fight for Purna Swaraj, or complete self rule apart from the British empire. 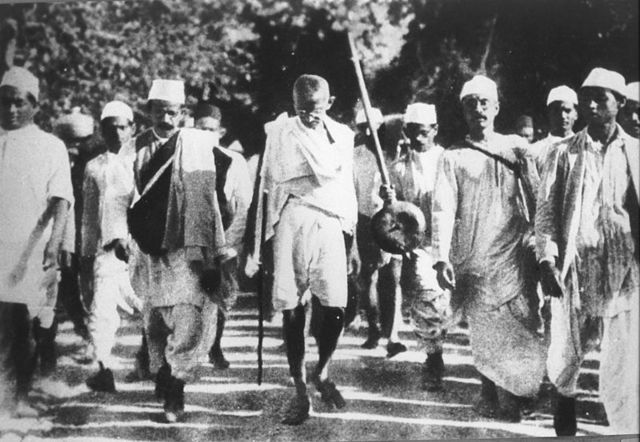 Gandhi and 78 male satyagrahis set out on foot for the coastal village of Dandi, Gujarat, 390 kilometres. When Gandhi broke the salt laws in Dandi at the conclusion of the march on April 6, 1930, it sparked large scale acts of civil disobedience against the British Raj salt laws by millions of Indians. Salt works. Over 80,000 indians were jailed as a result of the Salt Satyagraha. This happened just before he planned a more aggressive phase of his non violent rebellion by raiding and taking possession of salt depots at Dharasana. 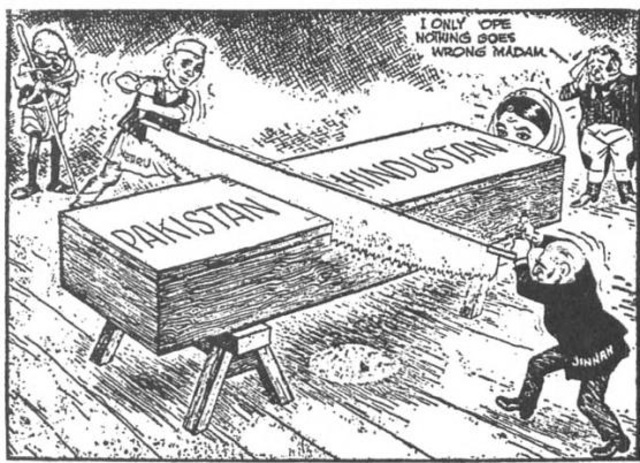 As violence increased between the Muslims and Hindus increased during the early 1940s, British leaders came to believe that partition was the best way to ensure a safe and stable region. 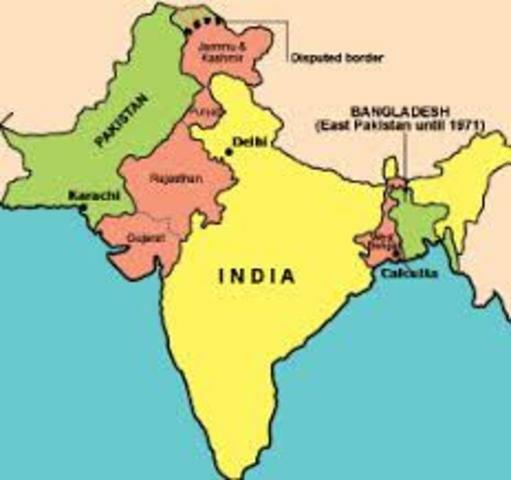 They decided to divide India into separate Hindu and Muslim nations. 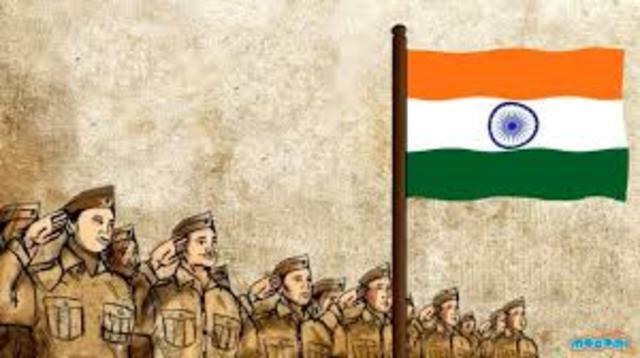 In August 1942, Gandhiji started the 'Quit India Movement' and decided to launch a mass civil disobedience movement 'Do or Die' call to force the British to leave India. The movement was followed, nonetheless, by large-scale violence directed at railway stations, telegraph offices, government buildings, and other emblems and institutions of colonial rule. The government held Gandhi responsible for these acts of violence, suggesting that they were a deliberate act of Congress policy. In 1946, a widespread riot broke out between the Hindus and Muslims. 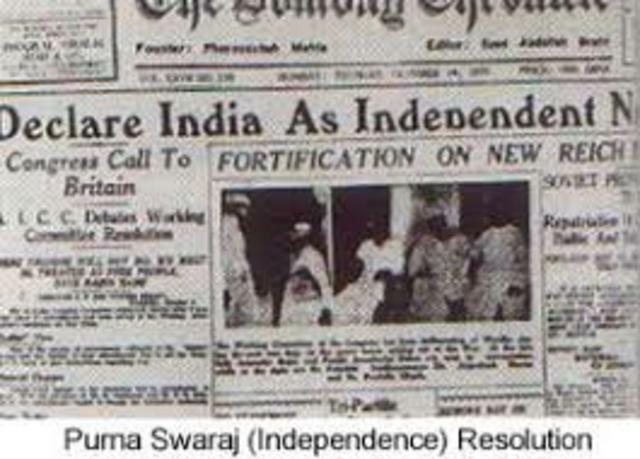 In 1947, Britain passed the Indian Independence Act. 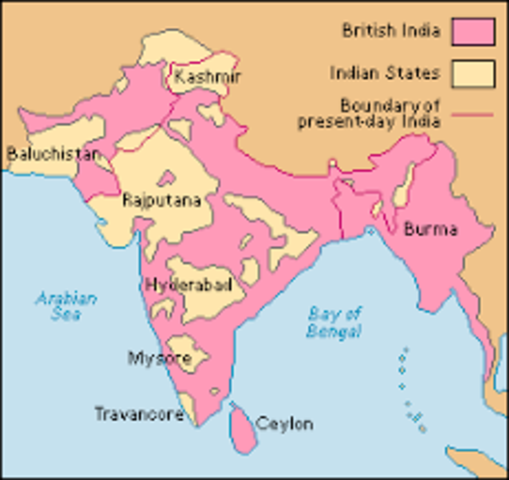 The act ended the British rule in India and divided the Indian subcontinent into two independent nations. One nation was Hindu-dominated India. The other nation was Pakistan, with a Muslim majority. This led to an explosion of violence, despite India and Pakistan promising religious tolerance. More than 500,000 people died in the fighting. 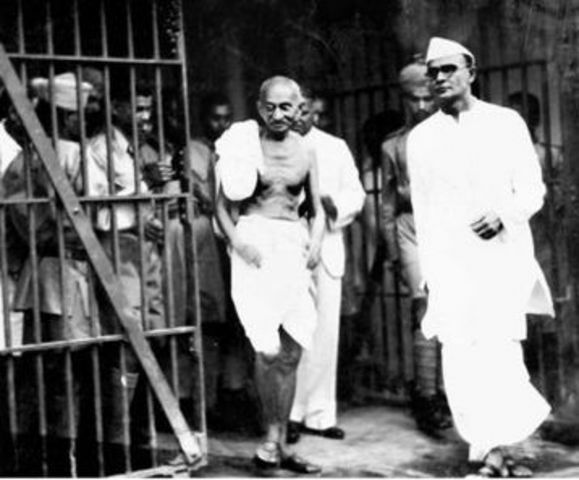 On August 15, 1947, the Indian Independence Bill took effect, inaugurating a period of religious turmoil in India and Pakistan that would result in the deaths of hundreds of thousands, including Gandhi, who was assassinated by a Hindu fanatic in January 1948 during a prayer vigil to an area of Muslim-Hindu violence. [Link] https://www.youtube.com/watch?v=Qq8NP3TiimQ. This murder came only 10 days after a previous attempt made on Gandhi's life. 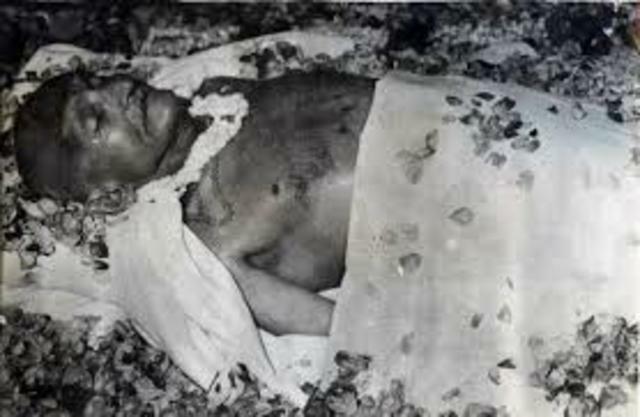 Thirty-nine-year-old Nathuram Godse shot the great leader three times as he made his way through a small crowd to attend a prayer meeting. The Hindu extremist did not like his tolerance and advocacy of unity between Muslims and Hindus. 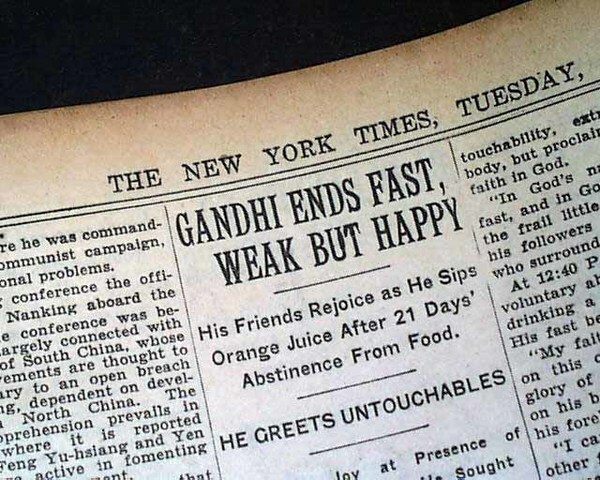 The elderly Gandhi was weak from years of hunger strikes. Godse was executed a year later. The Silk Road was a network of trade routes connecting China and the Far East with the M.E. and Europe. Established when the Han Dynasty in China officially opened trade with the West in 130 B.C., the Routes remained in use until 1453 A.D., when the Ottoman Empire boycotted trade with China and closed them. Although it's been nearly 600 years since the Silk Road has been used for international trade, the routes had a lasting impact on commerce, culture and history that resonates even today. In 1600, England set up the East India Company. The company won rights to build trading posts and forts at Madras Bombay and Calcutta. Many Indian rulers fought hard to keep the British out of the ir territory. They gained enormous wealth from taxes and they set up their own law code and a court system. They outlawed ritual suicide by widows and other Hindu practices. Both Hindus and Muslims resented the effort of missionaries to convert them to Christian. The Seven Years' War was a global conflict involving every European great power of the time and spanned five continents, affecting Europe, the Americas, West Africa, India, and the Philippines. The conflict split Europe into two coalitions, led by the Kingdom of Great Britain on one side and the Kingdom of France, the Russian Empire, the Kingdom of Spain, and the Swedish Empire on the other. 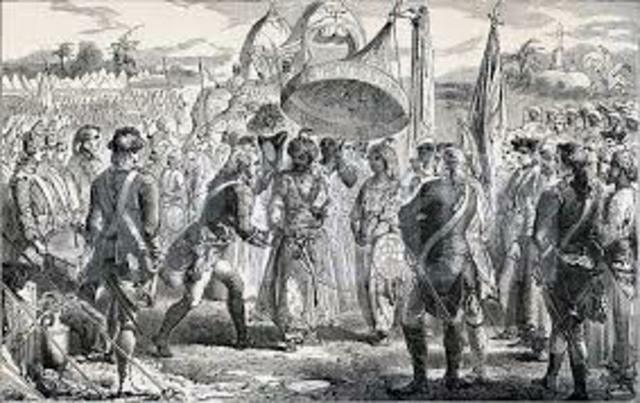 The Second Anglo-Maratha war was the second conflict between the British East India Company and India. After years of fighting and many treaties signed by the Maratha rulers, the British captured Delhi and control over other large parts of India. India was carried out by a government agency called the Indian Civil Service. Though they were ruling India, most officials of the ICS were British. ICS employed very few Indians, leaving many educated Indians frustrated at having no say in their own government. When the British announced that it would be breaking up Bengal into two provinces, nationalists thought this was an attempt to break up the hindu population. As a result, radicals in congress called for a boycott of all British goods. Participants vowed to nly make indian-made garments. A few militant nationalists attacked British officials. This movement convinced the British to make concessions to the Indian people. World War I was happening around this time between originating in Europe. During and after World War I Indian nationalists increased their demands for freedom. 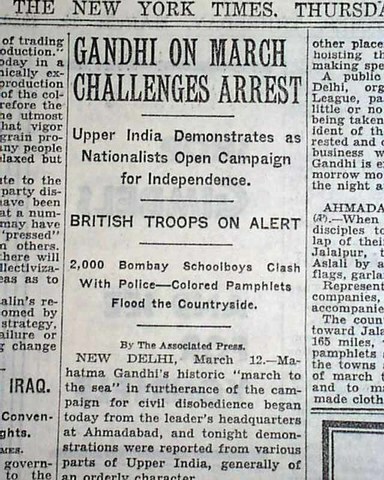 In 1919, Britain responded with harsh new laws limiting freedom of the press and other rights in India. The nationalist fought back hard. Most Indians had no interest in fighting this war since they saw it as a British conflict. The Indian National Congress refused to support the war unless they were given immediate independence. The British refused, which caused Gandhi to organize the Quit India movement. They urged India to rebel by not cooperating with the British. They continued their campaign of civil disobedience. The war weakened the British by 1945 and they realized they could no longer keep India.